Crisp autumn days are now upon us and a perfect excuse to get out the walking shoes and discover some new parts of the Chilterns. Many of our clients choose to move to the area – also known as the Chilterns Area of Outstanding Natural Beauty (AONB) to get greater access to green space, woodlands and walks so we have highlighted our top five for this autumn. With over 800 acres of woodland on the edge of the Chiltern escarpment there is so much to discover. Owned by the Forestry Commission there is a variety of different walks through scenic woodland including a fitness trail for those who are feeling energetic! Wendover Woods is a perfect family destination as there are well maintained paths for walking and cycling and there is a creative woodland play area situated near the fantastic café to keep everyone happy. For younger walkers there is the ‘Superworm’ trail (from the creators of the Gruffalo) following the adventures of this famous worm! Why Chiltern Relocation loves Wendover Woods. With so many activities on offer, stunning walks with great views and something to keep all the family happy, Wendover Woods is always a great day out. Why Chiltern Relocation loves Whiteleaf Hill. Feeling like you are experiencing history whilst enjoying the breath-taking views across the valleys below. Whiteleaf is located just north of Great Missenden. 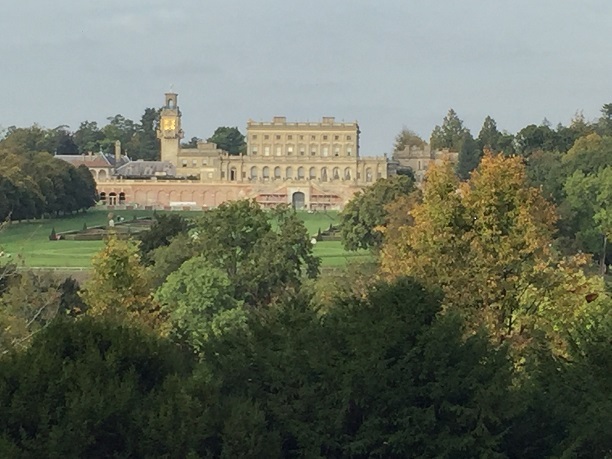 Most visitors to Cliveden will head to the famous house, the maze and the stunning parterre but a mile down the road is the Woodland car park and the start of glorious walks in the Cliveden Estate bordering the Thames. Passing through a dedicated picnic area walkers can chose from miles of woodland paths to explore. A new fitness trail around the woods makes for a fun approach to the walk as you can stop at the various ‘stations’ to complete the exercise tasks. The woods line the steep cliffs above the Thames and walkers can enjoy stunning views to Cliveden House or chose to take one of the paths down to the river itself. For younger family members a new woodland family play trail has been created to test balancing, climbing and den building skills! Why Chiltern Relocation loves Cliveden Woodland Walk: These woods have so much to offer – views over the valley, down to the Thames and fun activities for children. Located near to the village of Farnham Common, Burnham Beeches encompasses 540 acres of ancient woodland and wildlife habitats. There is a large open green perfect for ball games and picnics and many family groups come together here at weekends. The area is popular with walkers, cyclists and horse riders who all enjoy stopping at the excellent Beeches Café. Burnham Beeches is a National Nature Reserve and a Special Area of Conservation. There are two lakes, a host of paths through varied woodland and a raised boardwalk through the special conservation area. Whilst out walking don’t be surprised if you come across cows and horses which graze freely here. 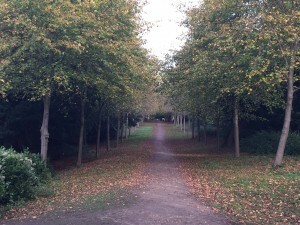 Why Chiltern Relocation loves Burnham Beeches. After a varied walk spotting livestock, the Beeches Café is a great place to enjoy excellent sandwiches and cakes and watch all the dog walkers, horse riders and cyclists go by. Is a 5,000 acre area of the Chiltern Hills with beech and oak woodlands, commons and chalk downlands. Owned by The National Trust there are a varied range of walks to suit everyone from the Golden Valley to Thunderbell Woods walks. This autumn there is also a specific ‘Ashridge Autumn Colours Walk’ which guides you through some of the most spectacular woodland at Ashridge and takes in the best of the autumn colour away from the more usually frequented hot spots. Tired from all the stunning vistas and miles of trails you can stop at the Brownlow Café to enjoy a range of treats. Why Chiltern Relocation love Ashridge. The Ashridge Estate is in the heart of the Chilterns Area of Outstanding Natural Beauty and really has something for everyone – including great cakes!